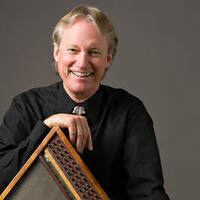 ​A key player in the revival of the hammered dulcimer, Walt Michael’s repertoire includes old-time Southern Appalachian, Celtic, & original compositions in performances ranging from the coal camps of Appalachia to the White House, and the Closing Ceremonies of the 13th Olympic Winter Games. He received a 2016 MD Traditions Apprenticeship Award from the MD State Arts Council as a master hammered dulcimer player. His music has been heard on ABC-TV, NBC's Tonight Show, Broadway, BBC, TNN, CBC, OLN and PBS. Walt’s many collaborations include works with the Pilobolus Dance Theater and the Alvin Ailey Dance Theater. Walt is the Founder and Executive Director of Common Ground on the Hill and the Artist in Residence at McDaniel College.